Search MLS Listings or scroll down to brouse. Randy grew up living and loving life on the lake. Now he is introducing lake life to his grandaughters. It is the love of the lake lifestyle that makes Randy enjoy his work selling Lake Murray. Randy Is A Certified Lake Murray Real Estate Specialist. This means he has successfully completed the designated curriculum and satisfied the practical experience requirements to be awarded the designated title of Lake Murray Real Estate Specialist. He is recognized by other real estate agents, appraisers, lenders and attorneys as an expert on Lake Murray. He has often been contacted by these professionals with questions or advise regarding Lake Murray properties and its many unique facets and he has worked with SCE&G and other professionals to teach others about the many aspects and nuances associated with Lake Murray. As a full time Lake Murray resident, Randy's invaluable perspective on this lifestyle and everything it has to offer is why more and more buyers turn to him for their real estate needs. Whether you already own, or, look forward to owning a home on the lake or in the surrounding communities, lake style living provides the good life for all, as Randy attests. Seller's look to Randy to list their properties because of his expertise in presenting and in pricing lake property to sell. List with Randy and he will insure that your property is in the market to sell, not just on the market. Here are just a few other reasons you choose Randy Martin as your Realtor? Randy has earned top producer awards for his office and corporation because he cares about his clients needs. He specializes in Lake Murray and its surrounding neighborhoods in Lexington, Richland, Saluda and Newberry Counties, affording him a wealth of focused experience. An avid fisherman and scuba diver of many years on the lake, Randy, knows first hand the advantages and enjoyment of the lake lifestyle. Randy’s background includes negotiating multi-million dollar contracts within both the domestic and European communities, making him the perfect choice for representing you in Real Estate transactions. Randy’s down home approach and management background, is a perfect combination for listening to and understanding, his client's needs. Achieve your goals with the help of Randy's extensive knowledge, business savvy and no-pressure approach. 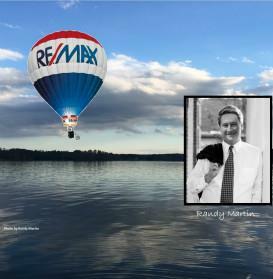 Your Success is a ‘Shore’ Thing at Lake Murray with Randy as your Realtor. Why hesitate? Contact him today at 803-422-0309 or e-mail him at 4lakemurray@comcast.net to get started on your Lake Murray home search or to get a no obligation market analysis to sell your Lake Murray property. I have successfully completed the designated curricullum and satisfied the practical experience requirements to be awarded the designated title of "CERTIFIED Lake Murray Real Estate Specialist." "Randy is more than a Business Acquaintance, He has been a Friend and like Family to Me and has allowed Me to have PEACE in My Life that I have lost for a long time and for this, Randy, I THANK YOU and APPRECIATE YOU and Your Experience of knowing just what I needed." "Randy has helped us both buy and sell a house, and we especially appreciate his non-aggressive approach in his business dealings. I highly recommend his services!" "Randy is dedicated, compassionate, loyal and trustworthy as well as FRIEND to all. My husband was killed the first part of Nov, my house was packed up in 3 days, house listed as we pulled out of driveway. Within the next week there were several offers, a week later we accepted the one who closed on it yesterday. Randy went above and beyond helping me as I have move 1200 miles away. Endless phone calls, driving extra miles, his advice and expertise, and his honesty is exactly what he gave during this most difficult time. His thoughtfulness and kindness for me and my children will never be forgotten." "Huge Reduction For Quick Sale!!" "Lowest Price Residential Home On Lake Murray!" "Great Schools - Great Home!" "Cute as a Button! 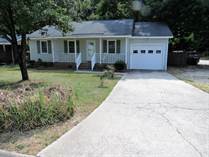 3 bdrm Ranch w/ Huge Yard!" "BEAUTIFUL WATER FRONT LOT IN THE BLUFFS"